Supplier information is used by the 'Inventory Purchase' screen and printed on the purchase order report. The software allows supplier grading - green, yellow, red. This can be used when selecting a supplier needed for fast delivery of inventory items. 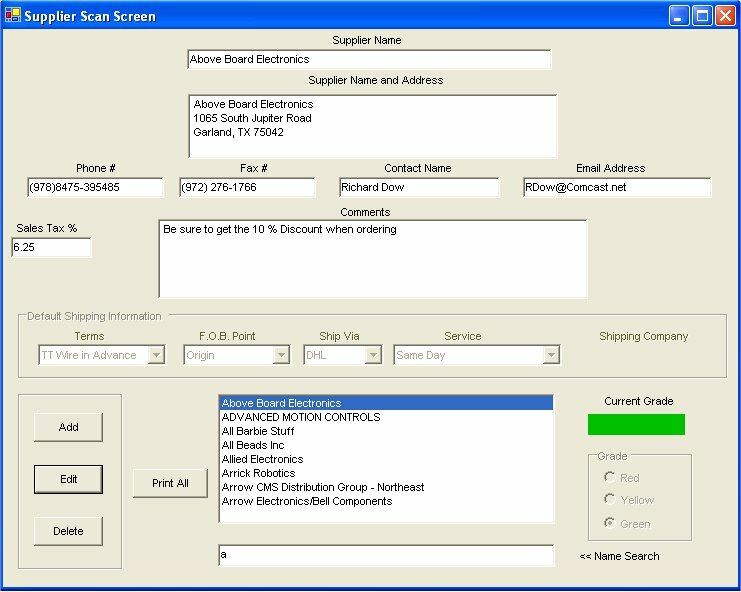 An option is available to generate a supplier report to the display or printer. When the supplier name is entered in the top field and focus is changed to the address field the name is copied down. The phone and fax numbers will auto format if ten characters are entered in sequence. The inventory software is completely password protected allowing users access to only selected screen functions.